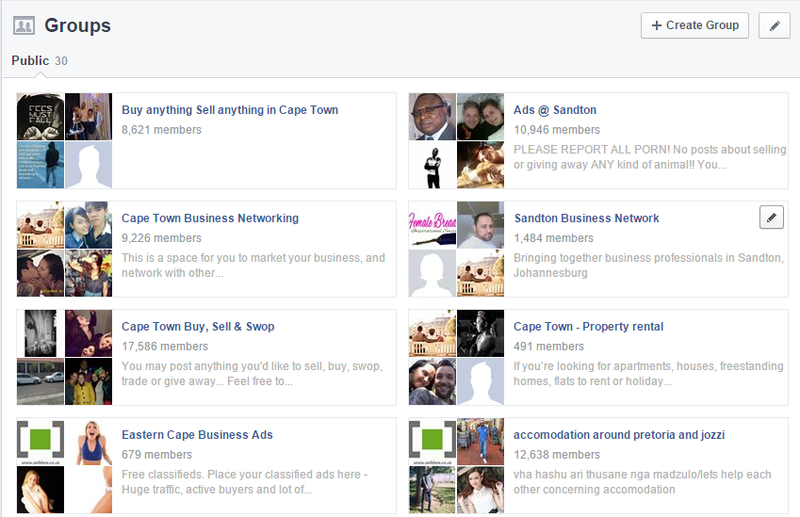 Joining Facebook Area Specific Groups can ensure your properties get much more exposure on Facebook. We’d love to explain a bit more about them. Facebook Area Specific Groups are groups that focus around a theme or suburb or city where people post related information. 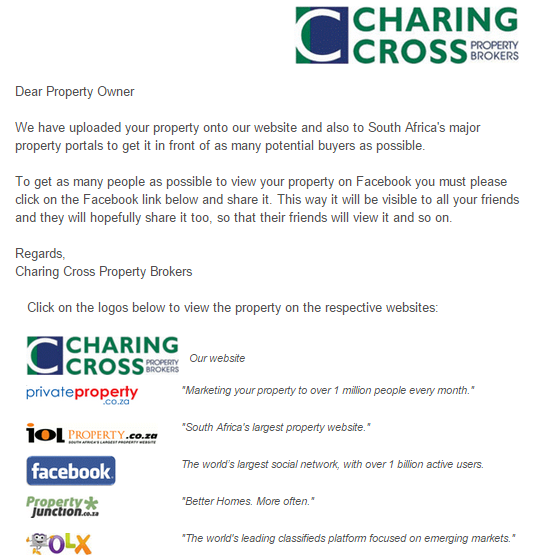 They can be very big with some like SA Property Investors Network having 30 108 members or they can be more niche. We have seen that sharing properties to these groups generates significant exposure and lots of traffic to your agency website. Find the groups from your Personal Facebook Profile (we can help as it’s not always easy). Join the groups (newcomers to most groups have to be approved by the group admin). Feed your properties to Facebook via your web-box Admin Console. Share them from Facebook to the Facebook Area Specific Groups you have chosen to join. If you haven’t setup your Facebook Feed yet, make sure you read our blog post on setting up your New Facebook Feed. You can also ask web-box to manage your Facebook Updates for you. This is at a set extra monthly rate, so contact us to chat about it if you’re interested. We’ve been working on some improvements to the admin console and we would love to show them to you. We have introduced a new Location Search on the Upload/Edit Property page. 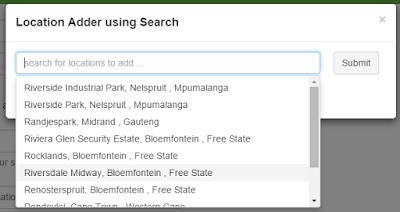 When you click on ‘add’ new locations you can now type in the location you want and the nearest matches will appear in a dropdown. Should you have any difficulty with the new method, the old method is still available. The other nifty function that is now active is the Auto Save function on the Upload Property page. When you enter property information and something goes wrong or you are distracted for a while, the page will now automatically save your information for 24 hours - you can go back to the Upload Property page and your information will still be there. We think our changes are really cool, so go have a look and play around a bit! You should have noticed over the last couple of weeks that your web-box website is loading faster. 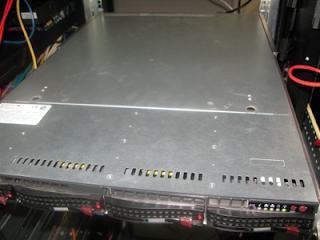 This is because we have just bought and installed a new state of the art web server that is very fast. Not only is it very fast, but it is also extremely robust with redundant hard drives, power supplies and network cards. Redundant means that there is a duplicate device, so if one fails the second one automatically takes over without any down time. It cost us a whole lot of money, but we know that it is well worth it as page load times are an integral part of your website user experience. We hope you are enjoying your new zippier web-box experience. Facebook is one of the largest social networks in the world, with over 1 billion active users. We are proud to announce that through your web-box admin console you will now be able to list properties on Facebook. You will potentially gain impressive reach for little effort. Facebook is easy to use, and so is the feed we have created. You can choose to feed properties to your Personal Facebook Profile or your Facebook Business Page, or both, from your web-box admin console. Clicking on a property on your Facebook feed will direct you through to your web-box website property details page, driving traffic to your website. Your Facebook feed will also appear in the owner email. 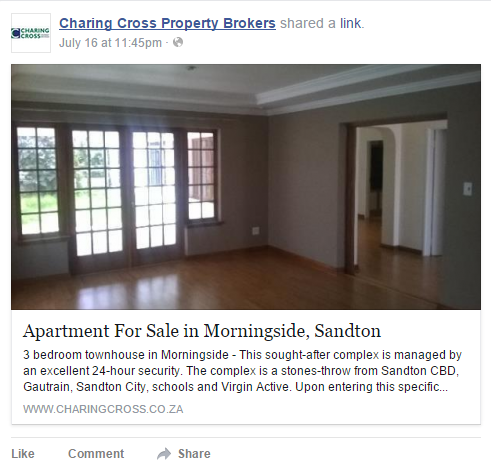 So, sending out the owner email will allow your sellers to see that their properties feature on Facebook too, which looks impressive. The Facebook link will only appear in the owner email if you use this new feed via the admin console, as opposed to the older website front-end Facebook link. Ready to get your Facebook feed going? Login to your web-box admin console and try it out! 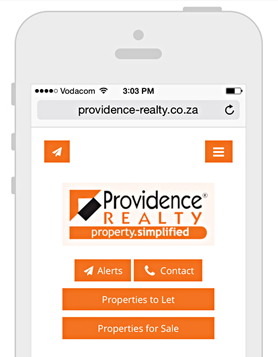 We are thrilled to let you know that we launched a whole new mobile website for our clients. We think they look great and are very proud of them. 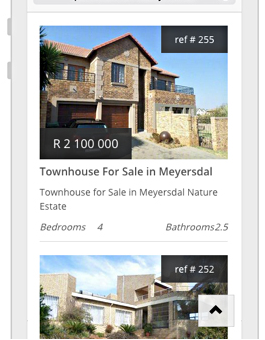 Although our standard websites work well on mobile phones, our new mobile websites display the properties optimally for the small screen with big pictures and easy navigation. See for yourself by going to www.providence-realty.co.za on your phone, you will see it redirects you to m.providence-realty.co.za. A whole new website off a separate web address, which has most, but not all, of the pages of the standard websites. In setting up the mobile sites we have adhered to best practices as dictated by Google and others. Some of these being: large pictures; large text; easy navigation; SEO considerations; automatically displaying the mobile or the standard website based on the viewing device; links from the mobile site back to the standard website (and visa versa). Should you want us to setup your mobile website at an additional cost of R100 + VAT per month, please fill out and return the following form or contact us. As usual we have ensured that our pricing is as affordable as possible and that it is less than that of our competitors. At web-box we get the big things done, but we’re also always working on the ‘little’ things that make our clients’ websites better. The 2 changes we’re presenting today are, we believe, doing just that. 1. 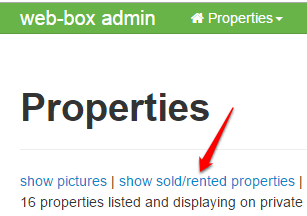 On the admin console properties page we have hidden the sold/rented properties. To view them again click on the link shown below. 2. Due to some confusion with people thinking rentals on the websites were month to month, we’ve made the change below. If you find the name change does not suit you please contact us. Both these changes are already active in the admin console - enjoy! If you have any feedback or questions please contact us, we’d love to hear from you. At web-box we pride ourselves on the quality of our feeds to the portals. We believe we do it as well as can be done and that it is one of the things that differentiates us from the competition. The ability for our clients to upload once and have their property appear on all portals is an enormous advantage to them. Over the last month or 2 we have had some problems with certain portal feeds which have now been addressed. To help you (and us) easily see which feeds are working (or not) we have created a ‘feeds status’ page which shows the current status of each portal feed. You can access this from your admin console via the 'Help' menu. 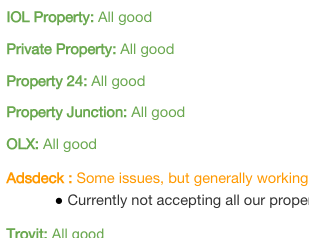 With the feeds now working well again we strongly encourage you to use the owner emails - the owners love seeing how you advertise their properties on the portals! If you have feedback or questions please contact us, we would love to help you. Lesego, our designer, has been hard at work creating a more modern and stylish look for our light sites. We think it looks really great ... and so has everyone we showed it to! 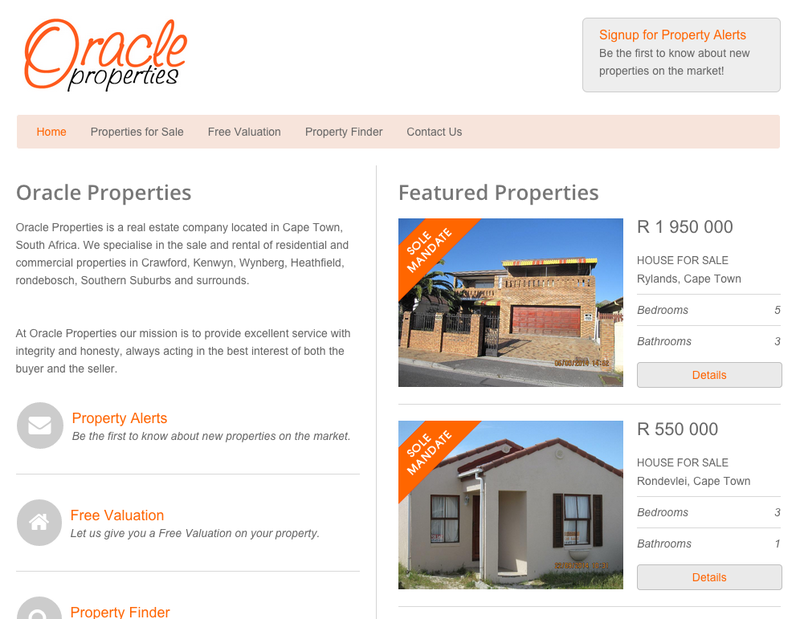 It makes us proud to produce such professional, elegant and user friendly websites. To see what it looks like just click on the image above or go to our portfolio page and click on 'Light Websites'. 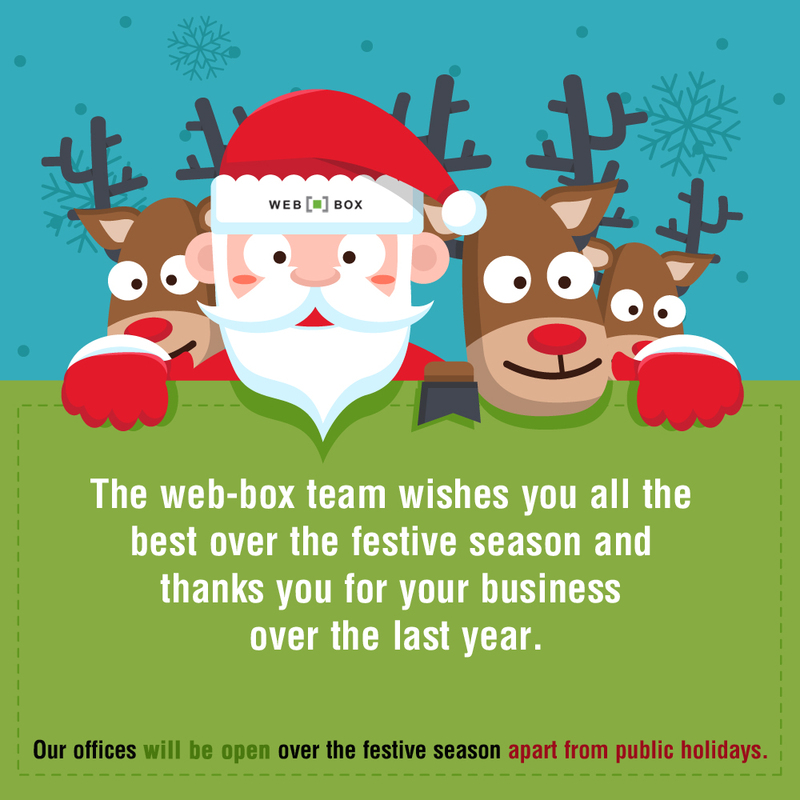 If you have a web-box light site, please let us know what you think of your new website by emailing us at feedback@webbox.co.za - we would love to know!